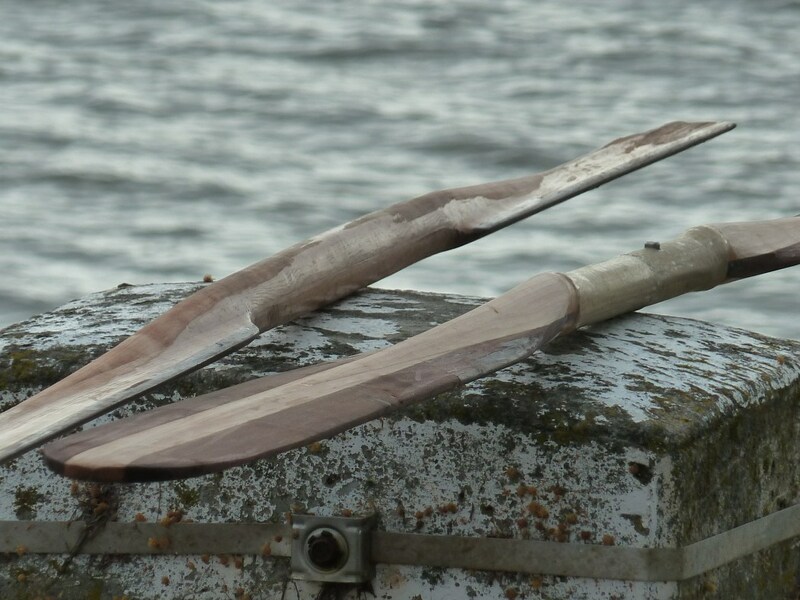 Wolfgang, is that "lower" paddle one with an offset loom, so that the blades hit the water sooner? 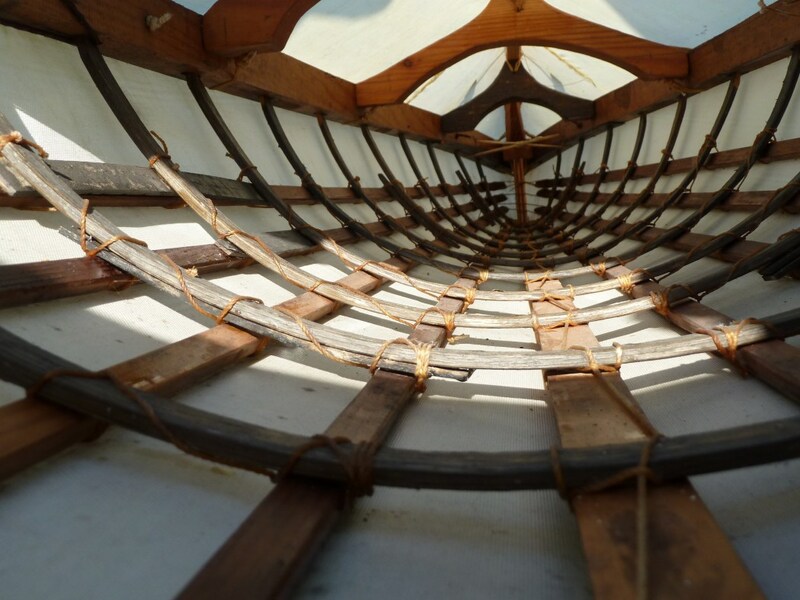 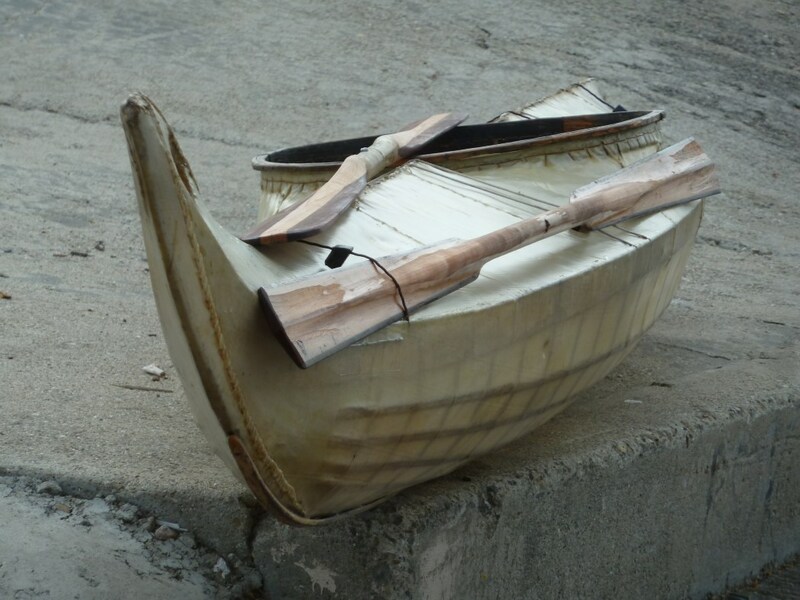 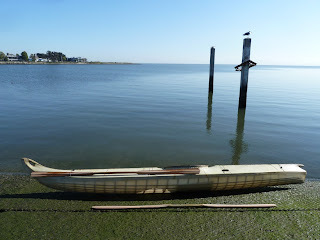 I've seen some writeups of Aleut paddles with that design and am curious as to whether it works better as proposed for long distances. 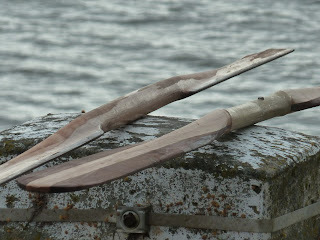 Both of the paddles shown have an offset loom. 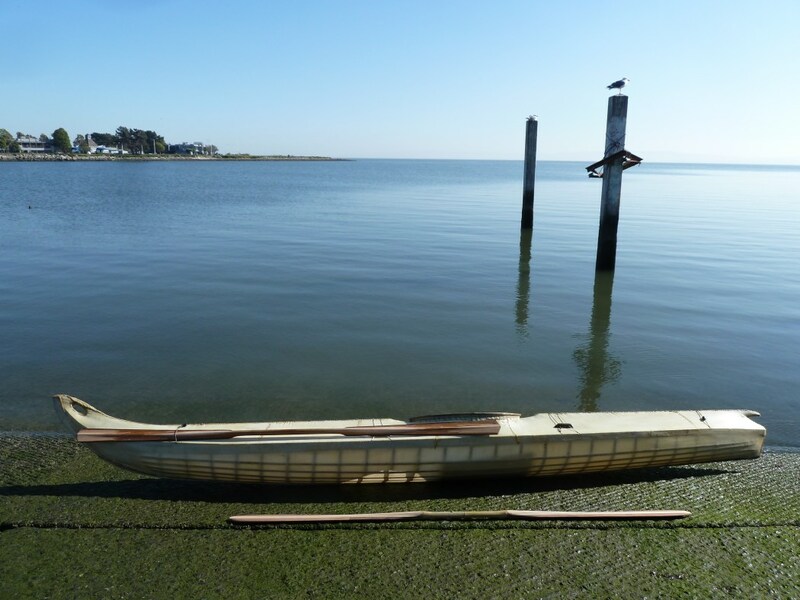 If the paddle is shaped properly, you don't have to grip it tightly to keep it properly oriented as you pull it through the water. Having to grip your paddle tightly eats up energy and becomes difficult when you paddle long distances.